Andy is a freelance jazz bassist who recently moved to Hartsville to be the school's orchestra director. 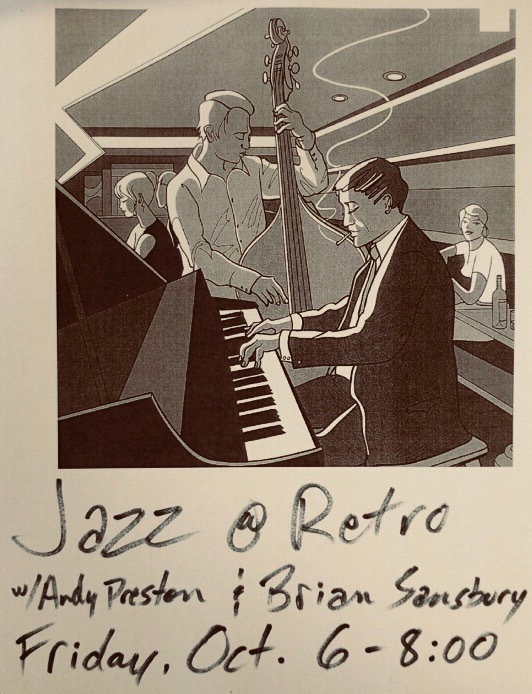 For his first appearance at Retro, he's brought keyboard wizard Brian Sansbury from Columbia, who maintains a busy performing and recording schedule around the southeast. They will be playing "retro" jazz as well as contemporary standards.